Keeping the needs of your growing puppy as well as pregnant and nursing mothers in mind, Fromm Gold Puppy Dry Dog Food is made to support all breeds and sizes. Made with high quality protein like chicken and duck and paired with fresh produce and real Wisconsin cheese, Fromm Gold Puppy Dry Dog Food provides well rounded, balanced nutrition for your furry friend without the unnecessary fillers! This recipe also supports the health of your pup’s coat and skin with guaranteed levels of Omega fatty acids and is enhanced with probiotics to ensure that their digestion is right on track! 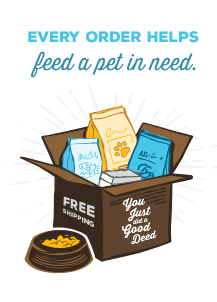 Fromm Gold Puppy Dry Dog Food is made with quality ingredients found in the United States with no artificial colors, flavors, or preservatives that any pup is sure to love! Chicken, Chicken Meal, Chicken Broth, Oat Groats, Pearled Barley, Menhaden Fish Meal, Brown Rice, Chicken Fat, Dried Tomato Pomace, Dried Egg Product, Potatoes, Chicken Liver, Whole Oats, Salmon Oil, Whole Barley, Cheese, Flaxseed, Brewers Dried Yeast, Duck, Lamb, Carrots, Sweet Potatoes, Celery, Monocalcium Phosphate, Alfalfa Meal, Monosodium Phosphate, Salt, Potassium Chloride, DL-Methionine, Chicory Root Extract, Taurine, Calcium Sulfate, Choline Chloride, Chicken Cartilage, Vitamins, Minerals, Yucca Schidigera Extract, Sorbic Acid (Preservative), L-Tryptophan, Sodium Selenite, Probiotics.